Norman R. Augustine is retired Chairman and CEO of the Lockheed Martin Corporation. He served as Assistant Secretary of the Army (R&D) from 1973-75 and Undersecretary from 1975-77 and served for 16 years on the President's Council of Advisers on Science and Technology. He was a Professor at Princeton from 1997-99. Mr. Augustine has been presented the National Medal of Technology by the President of the United States and received the Joint Chiefs of Staff Distinguished Public Service Award. He has five times received the Department of Defense's highest civilian decoration, the Distinguished Service Medal. He has been elected to membership in the American Philosophical Society, the National Academy of Science, the National Academy of Engineering, the American Academy of Arts & Sciences, the Explorers Club, Tau Beta Pi, Phi Beta Kappa and Sigma Xi. Mr. Augustine holds 33 honorary degrees and serves or has previously served as a trustee of the University System of Maryland, Johns Hopkins University, Princeton University and MIT. James J. Duderstadt is President Emeritus and University Professor of Science and Engineering at the University of Michigan. At Michigan, Dr. Duderstadt has held the positions of Dean of the College of Engineering, Provost, and served as President from 1988 until 1996. He is currently the co-chair of the Science, Technology & Public Policy Program in the Gerald R. Ford School of Public Policy and leads the Millennium Project. Dr. Duderstadt has also served in a variety of advisory positions in the federal government including the National Science Foundation, the National Academies and the Department of Energy. ​Rush D. Holt is the chief executive officer of the American Association for the Advancement of Science (AAAS) and executive publisher of the Science family of journals. From 1987 to 1998, Dr. Holt was assistant director of the Princeton Plasma Physics Laboratory (PPPL). From 1980 to 1988, Holt served on the faculty of Swarthmore College, where he taught courses in physics and public policy. He also served as an arms control expert at the U.S. State Department, where he monitored the nuclear programs of countries such as Iraq, Iran, North Korea, and the former Soviet Union. Holt served for 16 years as a member of the U.S. House of Representatives, representing New Jersey's 12th Congressional District. On Capitol Hill, Holt established a long track record of advocacy for federal investment in research & development and science education. He founded the Congressional Research and Development Caucus and served on the National Commission on the Teaching of Mathematics and Science. Neal F. Lane is a Professor in the Department of Physics and Astronomy at Rice University and the Senior Fellow in Science and Technology Policy at the Baker Institute. 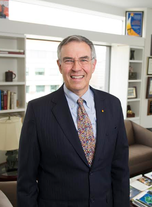 Dr. Lane was the director of the National Science Foundation and later served as the Science Adviser to President Clinton, as well as the director of the White House Office of Science and Technology Policy. Since returning to academia, he has authored a variety of reports and recommendations on key issues in science and technology policy. 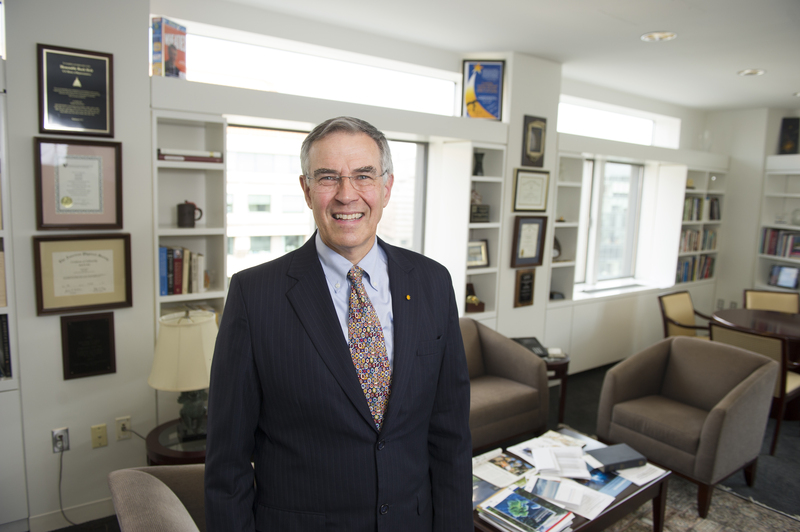 In 2013, the National Science Board presented Lane with the Vannevar Bush Award, which recognizes exceptional, lifelong leaders who have made substantial contributions to the nation through public service activities in science, technology and policy. He is a fellow of the American Academy of Arts and Sciences, the American Association for the Advancement of Science and other honorary and professional associations. Marcia McNutt is President of the U.S. National Academy of Sciences. From 2013-2016, she served as Editor-in-Chief of the Science family of journals. Prior to joining Science, she served as the 15th Director of the U.S. Geological Survey (USGS) from 2009-2013. During her tenure, the USGS responded to a number of major disasters, including earthquakes in Haiti, Chile, and Japan, and the Deepwater Horizon oil spill. Dr. McNutt led a team of government scientists and engineers at BP headquarters in Houston who helped contain the oil and cap the well. Before joining USGS, she was President and CEO of the Monterey Bay Aquarium Research Institute and the E.A. Griswold Professor of Geophysics at MIT where she directed the Joint Program in Oceanography/Applied Ocean Science & Engineering, jointly offered by MIT and the Woods Hole Oceanographic Institution. Dr. McNutt is a veteran of more than a dozen deep-sea expeditions, on most of which she was chief or co-chief scientist. She has served as President of the American Geophysical Union (AGU) and Chair of the Board of Governors for Joint Oceanographic Institutions. She is recipient of six honorary degrees and is an elected member of a number of national honorary societies including American Philosophical Society, the American Academy of Arts & Sciences, the Royal Society, and the Russian Academy of Sciences. She is a recipient of the U.S. Coast Guard's Meritorious Service Medal and the AGU’s Macelwane and Maurice Ewing medals. Kathie L. Olsen is the Founder and Managing Director of ScienceWorks DC. Dr. Olsen was previously the Vice President for International Programs at the Association of Public and Land Grant Universities (APLU). Prior to joining APLU, Dr. Olsen was the Deputy Director and Chief Operating Officer of the National Science Foundation where she was responsible for managing essential day-to-day operations including budgeting and program creation. She has also served in the White House Office of Science and Technology Policy as the Deputy Director for Science. While at the National Aeronautics and Space Administration, Olsen served as the Chief Scientist. Deborah L. Wince-Smith is the President & CEO of the Council on Competitiveness. During her 17-year tenure in the federal government, Ms. Wince-Smith held positions in the areas of science, technology policy and international economic affairs. She began her career as a program director for the NSF and later served as the nation's first Senate-confirmed Assistant Secretary of Commerce for Technology Policy under President George H.W. Bush. Under President Ronald Reagan, Ms. Wince-Smith was appointed as the first Assistant Director of International Affairs and Competitiveness in the White House Office of Science and Technology Policy. She served from 2005-2012 as a public Director of NASDAQ-OMX and was appointed by President George W. Bush as a Senate-confirmed member of the Oversight Board of the Internal Revenue Service. Following her government tenure, Ms. Wince-Smith became active in the governance of various national scientific laboratories and provided strategic counsel to several FORTUNE 100 companies. She has served on the Boards of the Department of Energy National Laboratories and serves on numerous boards, advisory and government committees. Ms. Wince-Smith is the president of Global Federation of Competitiveness Councils, whose creation she led. Further details can be found on the Council on Competitiveness's website. 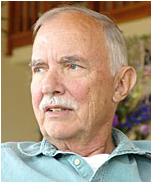 We are deeply saddened by the passing of Dr. Homer A. Neal, a long-time supporter and founding Advisory Board member of the Journal of Science Policy and Governance. A dear mentor to many in the science policy community including JSPG's leadership, Dr. Neal contributed decades of leadership and service to the scientific and science policy community at the University of Michigan, in the United States and world the world. ​A write up on Dr. Neal and his many life accomplishments appeared in the American Physical Society News may be found at this link. In October 2018, JSPG dedicated its 13th volume to Dr. Neal.